Use the web to broaden your global and local reach. 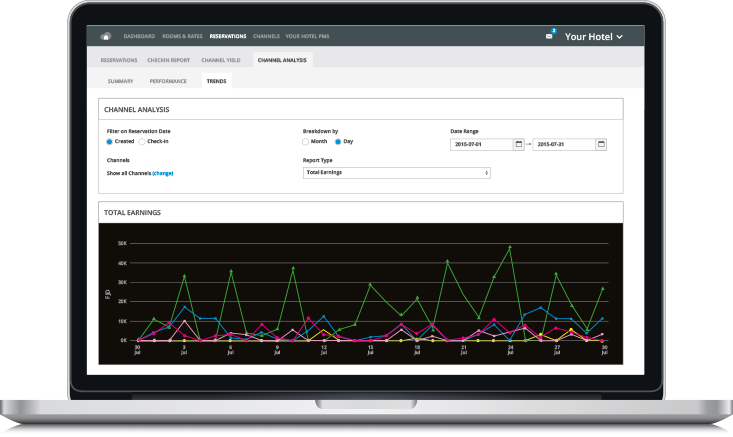 A single dashboard gives you transparency over the health of your online distribution system and performance by channel. 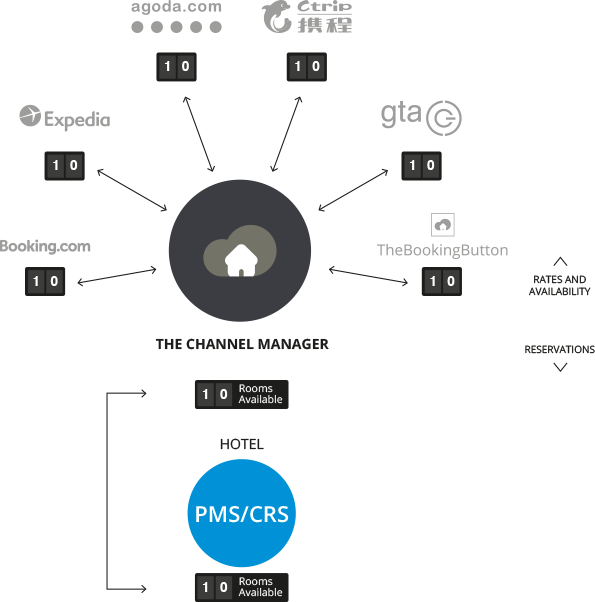 See which booking channels are delivering the most revenue for your hotel. Manage all your online distribution from one place. 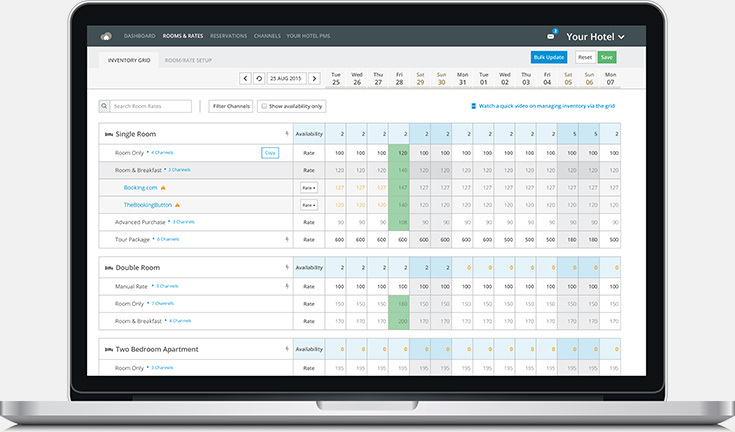 Automate inventory and rates straight from your PMS to keep all booking sites updated with real-time availability. Eliminate manual entry and reduce the risk of overbookings with deep integrations to 120+ of the world’s top PMSs, CRSs and RMSs. Get direct, two-way connections to 300+ of the world’s top booking channels. 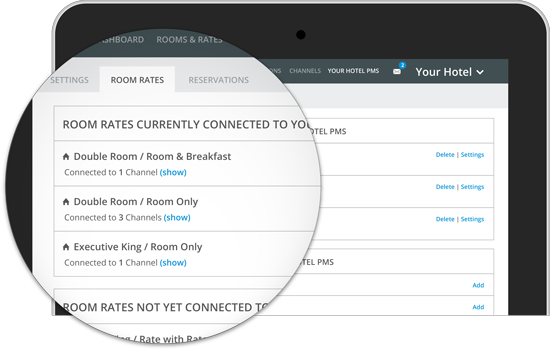 Benefit from true pooled inventory to increase your revenue and profits while lowering your cost of guest acquisition. Make more powerful and insightful decisions. Gain full visibility of your online distribution performance with a comprehensive reporting suite and holistic view of your inventory. Turn data into a more effective distribution strategy by analysing and evaluating the success of your channels. Measure your channel yield, earnings from reservations, booking volume and average lead times – in summary or as trends over time.